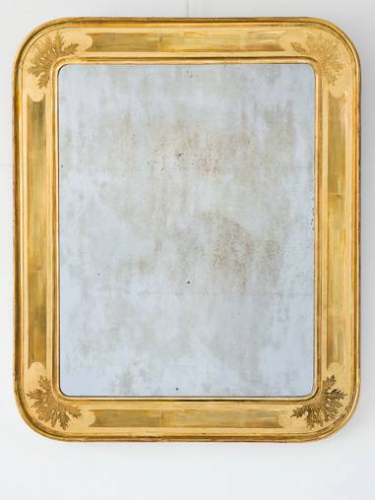 C19th French Mirror, lovely sparking plate and gilding. Beautiful C19th French mirror, with original sparkling plate. The beautiful gilt frame with curved corners and incised decoration.